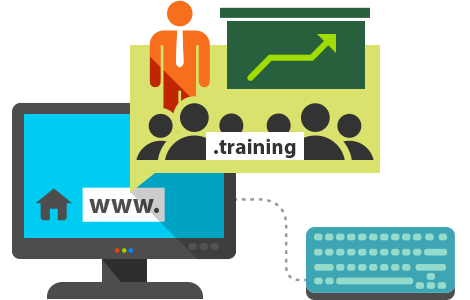 If your business has to do with offering trainings, courses, qualifications, or any type of training programs, the new .training domain is the right one for you. Show your customers that clearly, you are a respected figure in the field you teach in by adding .training to your domain. You can choose the most suitable domain for your business from a great variety of available names.